Grocery stores and supermarkets are expensive places to operate and sometimes they need an infusion of cash. While traditional funding sources like the banks have been able to help in the past, that isn’t always the case these days. Now small business loans through Silver Rock Funding can help business owners get between $5,000 and $500,000 for any need. The cash can be approved within 24 hours and you could get the money in your account funded within 72 hours. 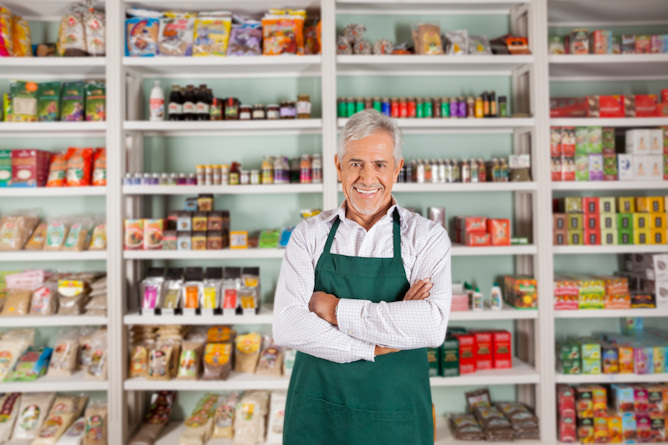 Our funding managers will work with you to get you a simplified small business loan that you can use for inventory, cash flow or something else you need to grow your supermarket or grocery business. As a supermarket or grocery store owner there are now opportunities to get capital for your business--fast. Even if your credit isn’t great, we can get you the financing you need and allow you the chance to grow your business without leveraging your savings. One of the most popular forms of this funding is the merchant cash advance process where you and your dedicated funding manager will work to figure out a percentage of your daily credit card receipts to pay back that will work for you. Whatever the arrangement, you as the small business owner have the power to accept the rates that work best for you. Best of all, the process is fast, easy and safe. Small business loans can help you get the smart investment you need to get your business moving. Whether that means more inventory, a grocery store remodel or something else, Silver Rock Funding can help. For most small business loans, you will need to provide six months of bank statements and three months of merchant processing statements. Once you apply, a dedicated funding manager will be focused on your business and will help you at every step of the process. We help supermarket and grocery store owners get the business loans they need to thrive in this competitive landscape. Get the cash your supermarket deserves through Silver Rock Funding.